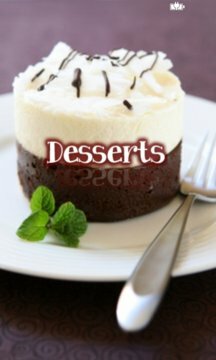 Published by Solola Solutions Inc.
Desserts provides a growing list of recipes which are downloaded from an online desserts repository. You can also create your own dessert recipes and submit them to the online repository! - Shake gesture added on recipe page. 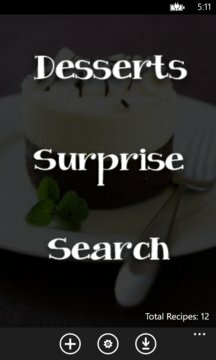 User can shake phone when viewing a recipe to load another recipe. - Lock/unlock feature added to recipe page, so user can enable/disable the shake gesture when viewing a recipe.